The fourth annual Creative Hobby Supplies Trade Fair also known as the TUCH Expo, will be taking place this Thursday to Sunday, Nov. 15 to Nov. 18 at the Istanbul Expo Center. Broken down into two different themes, "Test & Order" and "Inspiration Days" for professionals in the hobby sector, there will be manufacturers and suppliers exhibiting new products, crafting techniques and trends. For those who want to be inspired to make crafts, there will be plentiful art supplies for sale including all necessities for knitting, crochet, paper craft supplies and much more. The first two days, Nov. 15 and Nov. 16, will be geared more toward manufacturers, suppliers, retailers and online traders in the hobby sector, while the last two days, Nov. 17 to Nov. 18, which will be this weekend, will be open to anyone and everyone interested in perusing or purchasing craft supplies. During the four days of the TUCH expo there will also be dozens of workshops and seminars for both professionals in the field as well as potential crafters. The first two days will be geared more for business-to-business (B2B), in other words, professionals in the hobby sector, and will see a number of educational seminars on topics such as utilizing photography in digital marketing, online shopping and brand loyalty strategies. However there will be plenty for non-professionals as well, with a number of workshops available for teaching new techniques to interested learners and others for testing out products. There will be an opportunity to learn how to paint cloth bags and t-shirts using fabric paint, how to bedazzle jewelry boxes, or take a workshop on making jewelry, crocheting, knitting, patchwork and even amigurumi, the Japanese art of knitting yarn toys and creatures. There will also be a workshop on making tiles. There will be felt-making and an ebru course, including one for kids. 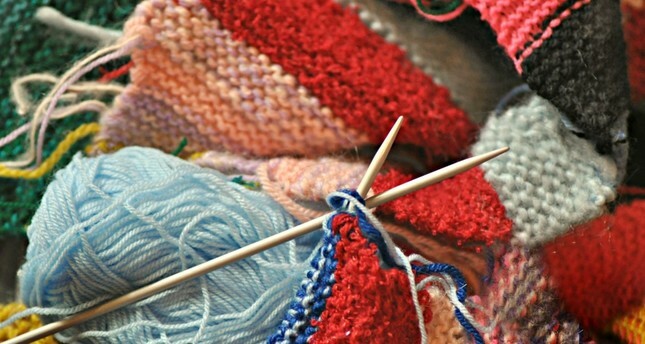 Other workshops include, painting mugs, making mandalas, trays and place mats and knitting hats, bags and mittens. A number of events will focus on utilizing sewing machines and other more technical practices such as wood painting, pouring effects or antiquing items. The workshops, which will be taking place over the course of all four-days, they start at 10 a.m. and continue simultaneously throughout the day until 6 p.m. The TUCH Expo will be taking place at the Istanbul Expo Center (Istanbul Fuar Merkezi) in Yeşilköy. E-tickets will be available on tuchexpo.com up until 3 p.m. on Wednesday, Nov. 14. The discounted cost for the full four-days is TL 5 (about $1) and the weekend pass is free. There will also be tickets available at the door for a cost of TL 15 for a four-day pass and TL 5 for the weekend. Design enthusiasts are also in luck this weekend as Design Week Turkey will be taking place from Nov. 16 to Nov. 18 at the Istanbul Haliç Congress Center. At Design Week Turkey there will be well-known figures from a wide spectrum of design including but certainly not limited to industrial design, visual communication, fashion and architecture that will be taking part in panels and offering workshops. There will also be special exhibitions and installations by local and international artists, design platforms and schools on show during the three-day event. There will be multiple conferences taking place on the main stage each day from 10 a.m. to 5 p.m. with multiples speakers on a wide range of topics such as "Rise of Online Sales in the World of Design," "How Does Design Affect Economy," "Designing A Game," "Architecture with Design" and even "Processes of Car Design" to name a few. The Design Talks stage will also have seminars from noon to 4 p.m. on topics such as "legal protection for designs," "becoming a brand," "3D printing and fashion," "film and illustration" and on the future of Turkish designers. This will also be a great opportunity to discover leading designers in Turkey as the Design Turkey Industrial Design Awards will also be given out in 13 different sectors and there will also be a natural Stone design contest. To attend this event guests need to register online at designweekturkey.com. There are a number of wonderful winter markets held in Istanbul where people can sell their own handmade crafts for those perusing for holiday gifts with proceeds going to charities. Handmade Istanbul is a collective of crafters composed of both Istanbul locals and expats that host a holiday market in December at the St. Helena's Chapel in Tepebaşı where people can rent stands to showcase their own creations. The International Women of Istanbul also organize a Winter Festival in December at the Şişli Marriott where members can display their handcrafts. The Bomonti Kermes, held at The Little Sisters of the Poor elderly home in Şişli's Bomonti neighborhood, is also a popular holiday market where people come to look for holiday gifts including a vast array of handcrafted items.